Meet the protagonists and their stories. "I was tremendously thrilled to receive a ticket to attend the CCC conference in Leipzig this past December thanks to the generosity of Seba Garcia and Veronica Valeros and their diversity fund, empowering women who are traditionally under-represented in the tech field! Being entrusted with this golden ticket, I made a great effort to soak up all the inspiration, took opportunities to help lead discussions even, and to meet new people and old friends. This was one of the most fascinating conferences I’ve ever had the pleasure of attending and am looking forward to going back! Who knows, perhaps I’ll even submit a talk proposal this year and try and immerse myself even more! Please consider supporting this initiative to help bring even more women into the fold of technology! Through the empowerment and education it affords to new voices, we will all be better people for it!" - Rachel Uwa, School of Machines, Making & Make-Believe, schoolofma.org. Rachel Uwa has spent 15+ years as a community organizer and educator. Most recently, she founded the "School of Machines, Making & Make-Believe", an independent school hovering at the intersection of art, technology, design, and human connection. "Thank you! Thank you! Thank you! Im so excited! :)" - Anna S.
Anna is a threat researcher. Her passion for all things relating to malware eventually grew into a career as an information security analyst. Her interests focus on network security, data mining for malware recognition patterns, malware behavior and cyber crimes. Anna recently started in the information security field. "My experience in OWASP was really rewarding, this event helped me to acquire knowledge in topics I was totally unaware of. I learned that there is a long way to go in terms of security. I was able to be with people who inspired me to want to continue striving for someday be like them and, what is more, this event aroused me a huge curiosity to continue researching on security. I'm very happy and motivated!. Mariana Consuelo is a student of computer science engineering at Aguascalientes, Mexico. She had been attending and giving workshops about robotics, web design, hardware and virtualization. Mariana had been collaborating on different projects in the last years such as electronic systems. Some of Mariana's personal projects, where she is actively member include HackGirl and "Growing Up with Science and Technology". 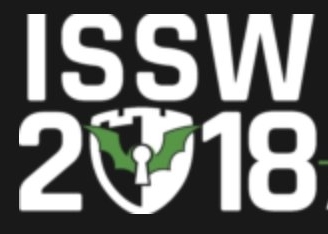 Consuelo expressed her interest to participate in OWASP Riviera Maya 2018 because the quality of the event and to have an opportunity to expand her knowledge in the information security field. Mariana believes that security is essential in any ramification of computer science. With even extracurricular tasks, Mariana shows her passion to learn more: teaching others. My name is Briana Bradshaw. I am a third-year Computer Science major at the University of Texas at Austin. I’m minoring in Business Foundations and I’m pursuing a concentration in Information Security. I’m African American, and I have 2 older brothers. I am the first woman in my family to pursue a formal degree in STEM and the first person in my immediate family to go to school for STEM. I really enjoy kayaking, playing video games, and working on my car in my free time. "Recibir el ticket para el curso de Análisis Forense en Equipos Informáticos fue casi un sueño, ya que los factores académicos, regionales y sociales desmotivan y a veces hacen inalcanzables las metas personales. Women in Tech Fund, ha sido el nexo para poder descubrir una pasión oculta en mí, que se despertó con una serie de sucesos que me permitieron llegar hasta ellos mediante comunicaciones con otras mujeres. En el mundo existen chicas que no pueden tener acceso completo a una infinita cantidad de variables orientativas en sus carreras y gracias a este tipo de organizaciones de largo alcance, podemos percibir la importancia de estas oportunidades educativas. "Gracias Women In Tech Fund por cumplir sueños! Tuve la oportunidad, gracias a ustedes, de asistir por primera vez a un Mega Evento como lo es Campus Party Argentina y estuvo increíble! 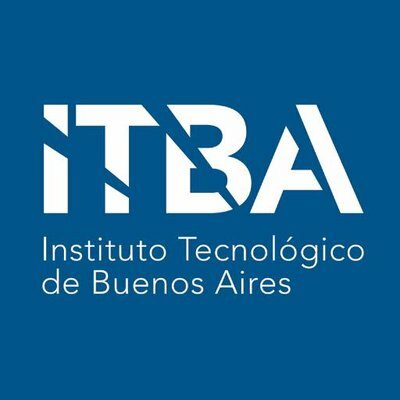 Para los que no conocen es una jornada maratónica de tres días de charlas de personas grosas en tecnología, workshops de los que salís aprendiendo algo nuevo, desafíos, oportunidades laborales, es el Disney de la tecnología! "I was excited to attend Facebook Developer Conference 2018 thanks to Women in Tech Fund which sponsored my ticket. I enjoyed the experience a lot! The Fund is doing important work since according to The Industry Gender Gap report, women are underrepresented in tech holding only 26 percent of all tech jobs. However, digital technology is the driving force of the next industrial revolution and thus represents also power, political and economic influence. In addition to losing the important societal possibility to influence the economic and societal changes technology brings, women also miss great job opportunities if the gender disparity in computer science does not improve. Technology is going to affect our daily lives intimately in the future, therefore it is crucial that these technologies are designed and managed both by males and females. Just as balanced societies need both sexes, so does technology to achieve its full economic, societal and humane potential. Mary is a long-time nerd but new information security professional. She recently realized that working in tech would be a good way to harness her constant curiosity and love of puzzles, so she took a gamble and quit her administrative job to enroll in an Ms in Cyber Security program. Since then, she's graduated and works at a financial institution on a red team. Her interests include malware, reverse engineering, exploit development, mainframes, ROP, and digital forensics. She's on twitter (@mairebear), but mostly for memes and cute dog photos. Zuzana is a Computer Science student from Slovakia, majoring in computer security and working as a Malware Analyst for ESET. "REcon was an amazing experience for me. Listening to inspiring talks and meeting people with whom I share the same interest - I returned from Montreal with amounts of motivation I haven't had in a long time. I am so grateful to have received this opportunity from Women in Tech Fund, and I encourage every woman to attend a conference suiting her interests." Ophir Harpaz is a cybercrime researcher in Trusteer, IBM Security. Although she analyzes high level code at work - x86 is her free-time hobby. Ophir is a program manager in Baot organization for technological women in Israel, and has lately taught a reverse engineering workshop for beginners, hosted by Microsoft R&D center. She is on Twitter and Linkedin. "I'm grateful for the opportunity to have attended REcon 2018 in Montreal, which was an eye-opening look into cutting edge research on exploits and reverse engineering. I gleaned fascinating technical knowledge and deepened my belief in the promise of hacker conferences to be inclusive to cis women, gender-nonconforming people, and people of colour. Thank you so much Women in Tech Fund for your work and for this opportunity!" Yuan (you-anne) holds a B.C.L./LL.B from McGill University and is passionate about patching up vulnerabilities in legal and technological systems that harm marginalized people. Her interdisciplinary work focuses on the politics of hacktivism, cybersecurity, and privacy. "REcon was an awesome experience that I hope to relive in the future! As someone who has had a long-term interest in reverse engineering, I loved seeing actual industry and hobbyist research. I was able to meet many incredibly intelligent security researchers and reverse engineers while there, as well as on my flight back home. I strongly encourage anyone who is interested in the guts of software or hardware internals to attend this conference for both the technical talks and the networking. My only regret is that I didn’t know about this conference sooner, as I would have loved to attend the trainings!" Michelle is an incident response consultant who holds a passion for digital forensics, incident response, and reverse engineering. She has a B.S. in Computer Science from Cal Poly SLO, and although she doesn’t get to touch malware too frequently, she taught a malware & reverse engineering course as her senior project a few months ago, and hopes to continue teaching and learning more with the support she's gained from friends at REcon. You can find her on Twitter @cryptochai or on LinkedIn. I’ve never imagined myself attending a security conference that would cost hundreds of dollars for a zero charge while I am jobless and just graduated from university. 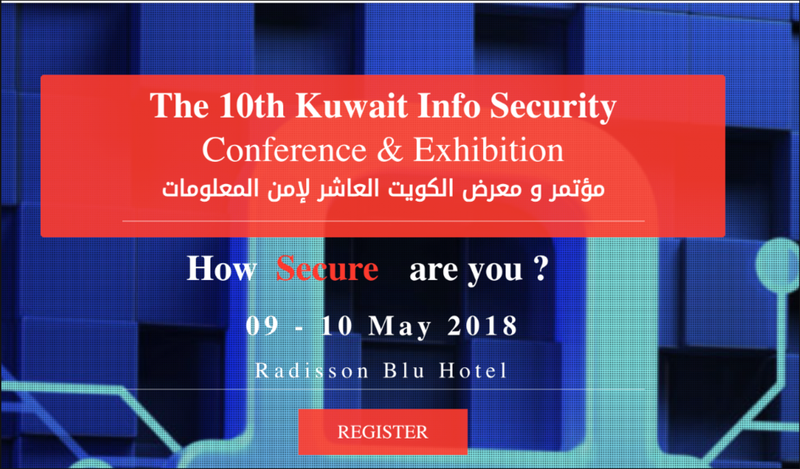 That’s my story with “The Kuwait Info Security Conference” that took place on May 2018. I was new to the field of security and still I am, yet I was so eager to learn and discover new aspects of this field. What amazed me the most is, when I entered the hall and saw that the first speaker of the conference was a female and not only that, she was the chief of the information security department in Oman. Certainly, by seeing that I was pushed not only to pursue a career in cybersecurity but to be on the top of the pyramid and I will be soon enough. Thank you “Women in Tech Fund” for reminding me to hold up to my dreams and to remember how awesome and unique we are as “Women”. HKOSCon18 was an awesome conference to speak at. I hope to speak there again in future. I was amazed by the verity of talk they had. When I gave my talk, the audience response was awesome and motivating to me. I met some amazing people there. I am grateful to Women in Tech Fund who sponsored my travel. I am very grateful that the Independent Fund for Women in Tech enabled me to attend REcon. It is a joy to spend three days absorbed in learning, meeting other passionate people, and exploring a new city. A highlight: I befriended the presenters of a talk and one night around 2200 we ended up at a breakfast restaurant, eating Eggs Benedict---already a unique experience---and discussing the Intel x86 assembly instruction set at the opcode level; we challenged one another to disassemble hexadecimal in our heads on the spot. Another highlight: meeting women who organize and attend the Black Hoodie reverse engineering workshops. We talked about technology, but we also talked about cats! REcon offered many high-quality, informative, and impressive talks, including Alexei Bulazel on reverse engineering Windows Defender (good instrumentation! ), Keen Lab on their winning Pwn2Own exploit chain (and iOS 12 beta jailbreak), Cylance researchers on statically detecting hooking capabilities in malware, and more. Seeing the level of tools people develop to aid their work is useful and inspiring, especially since many of those tools are open source and available for anyone to use. Molly Müller is a malware analyst by day and renaissance woman at all times. Current projects include facilitating kids to learn to program, social activism, dance, and fermented foods. In the winter when it is dark and cold out, she will do more technical projects. My background in security is not strong yet, but seeing the work done at Stratosphere IPS project has already shown me that pursuing a career in security could be a strong option for me after I finish my studies. Attending a conference like Hack in Paris gave me the opportunity to see talks and and get trainings by professionals in this field, in an environment completely unique to me. I have been to tech conferences before but never a cybersecurity conference and it was an experience I will never forget. 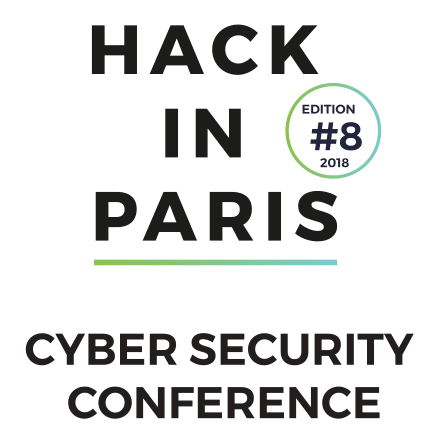 Hack in Paris was the first cybersecurity conference that I've ever attended. I applied with a little hope that I could join this amazing event. Thank you Women in Tech Fund for encouraging me to go there and for making the random idea of me going to Paris possible. I've met a lot of interesting, highly motivated people, joined many talks and learned so much. After this conference, I feel more motivated to my further work, and now I'm sure that I've found the right field of study for me. Thank you very much for an amazing opportunity to travel to Paris and to join HIP! Big thank you to Women In Tech for the opportunity to attend Hack in Paris 2018.It was a good opportunity to understand how many different topics IT security has and there is an endless possibility to learn. Even though some of the topics were not familiar to me, it was still interesting to listen and learn from other researchers about methodology they used, or tools they created. researcher at Cisco, she presented her research at international conferences such as BruCON, BSidesVIenna, and Botconf. She enjoys learning new topics in the security field to better understand its multiple aspects. Currently, she is studying ARM reversing, developing a python tool for her malware laboratory, and having fun playing with various smart devices. 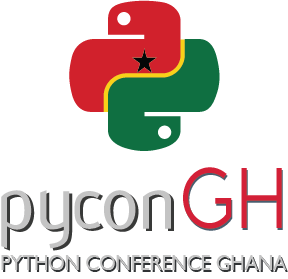 My experience at the PyCon Ghana Conference was phenomenal. There was the Django girls session which introduced about 20 girls to Django for the first time. They were given the necessary training and tools for joining the Django community. I was happy that the program was invested in training more women in the Tech space. As a programmer who absolutely loves Django, it was an exciting opportunity to meet and network with people on the board of the Django Software Foundation! They were interested in projects I was working on and gave me instant feedback, while recommending resources that have been absolutely helpful to me! I volunteered to give a lightening talk at the conference, and from that the PyLadies Ghana asked me to speak at their first meet up. This was a brilliant event and I hope to attend again. Afua Kesewa Boateng is a member of the Class of 2021 at Ashesi University. With a great interest in using Technology to provide street kids in Ghana with access to quality healthcare as well as using Technology to help more women from Africa gain economic freedom, she majors in Computer Science. She is heavily invested in social impact and as such works for organizations such as Yielding Accomplished African Women – where she creates the Technology track curriculum and facilitates Python programming for the young women in the program, and the Innovate Ghana High School Design Challenge – where she mentors high school students in STEAM and Design Thinking to help them refine solutions to problems they have identified in their communities. She is interested in studying every facet of Computer Science, as she seeks to advance economic growth on her continent. I made plans this year but none of it included getting sponsored to a tech conference outside my country. The people I have met in the field of Security (which is new to me) and my curiosity to learn more helped me to get funded by this amazing body to PyCon Ghana. The conference was was a good learning opportunity. Even though i could not really relate with most of the topics, it was fascinating to know that you can make things better with just a line of code. My name is Febisola Olanipekun, based in Nigeria. I am a graduate of Economics who is transitioning careers to Cyber Security majorly through self learn. A scrabble player who enjoys learning and research. Attending PyCon Ghana 2018 has been very impactful and thanks to the Women in Tech Fund team for the support. I had the opportunity to meet novice and experienced people within the python Community to interact with them. My interest to study python heightened as I listened to speakers share their experience and thoughts. Python indeed is a beginner language and I would recommend it for those interested in taking a journey in programming. I look forward to improving my skills and becoming the person who would motivate others with my experience in the next PyCon. I was fortunate to attend DEF CON in August 2018. Some highlights of DEF CON for me were attending the Packet Hacking Village and getting an intro to network analysis, forensics, and using WireShark. Another fun activity was the Honey Pot workshop... ;) I also had a blast at the vendor area and met the team from Women In Security and Privacy and the Hak 5 team....The SkyTalks were great, and it was super to visit village to village, and attend the talks...There were so many talks, events, capture the flags, games, and activities that my head was spinning(in a good way! ). I loved the talks on how to ace a technical interview, and learning about new attacks and exploits, as well as reverse engineering. Most of the other workshops were sold out quickly, so I'd love to attend If I can next year. Hacker Karaoke was fun, and the networking was great and I met so many awesome people...I was struck by how inclusive the community was and helpful to newcomers like myself. I also was excited to know that women support each other and encourage each other to keep going, and I loved that in my conversations with people. I had a fantastic time and I'm excited to keep learning and growing...! I'm very thankful to the Independent Fund for Women In Tech for this opportunity to jumpstart my Information Security career! My experience at PyConGhana conference was awesome. The program was really on time, the conference coordinators were so friendly, the breakfast and the lunch, so executive some grapes, some Apples to garnish the breakfast and good food for lunch. You just imagine. And the speakers nailed it on point. I mean everyone each speaker presented was new to me. One speaker William Geary said to become a data scientist, you need to have these skills: machine learning, problem-solving, mathematics, data wrangling, data visualization, and ability to communicate. I learned throughout the conference that 'Data is the sword of the 21st century, those who wield it the warriors'. That's deep! Python on Android? I was surprised, that we can build Android apps with Python. I also learned that we don't just code anyway and anyhow, we must code in the pythonic way. The speaker demonstrated how we should code the pythonic way which I may be able to demonstrate later. One thing I remember one presenter said is that once you are a beginner and can code "Hello World " you are already a programmer. And hey! I was smiling when yet another speaker said 'Google is your best friend'. Since then I 've always been on Google to learn new things. There are a lot of things which I 've learned during the two days PyConGhana conference. And if i want to state all of them here I may not finish today. Some sessions like "Learning how to Learn" by Gerald Pharing, "Let's build a Tonabot" by Kevin de Youngster, keynotes from Marlene Mhagani and more... I'm still digesting some of the things I 've learned though. These conference has really helped me a lot. I felt I was with the right people, meeting people not only from Ghana but from different countries with different professional background sharing new ideas and so much. I want to say a big THANK you to Women In Tech Fund Team for making this PyConGhana conference 2018 a success. God richly bless you for your good work. I was overwhelmed that to chance to go for the conference and even after the conference. Thank You so much. I hope to get another chance like again. Priscilla Pauline Tettegah is a Tech enthusiast currently learning to code in Python programming language hoping to bean expert. She is a Ghanaian currently based in Accra. She loves working with Database, Data visualization, or Data science. This is what intrigued me to code in Python programming language. She is a beginner, but Priscilla is exposed to new environment, networking and learning new things you know. She won a free ticket from Woman In Tech Fund to Pycon Ghana conference 2018, 10th to 11th August. Attending a conference like PyCon Ghana was a big privilege for me. One thing i love about the Python Ghana Family is their frequent exposure of every member to networking. I got the chance to meet some great pythonistas especially those into data science. Pycon Ghana had a great impart on me and elevated the readiness to give back to my community. Thank you Women In Tech Fund for giving me this opportunity to learn, love and network. Entering the Tech field has never been easy for me but you made this possible. I am hoping to attend more conferences like this. BARBARA ASIAMAH IS A SOFTWARE DEVELOPER FROM GHANA. SHE IS CURRENTLY OFFERING BSC. INFORMATION TECHNOLOGY AT UNIVERSITY OF GHANA IN HER FIRST YEAR. SHE IS HARDWORKING, INTELLIGENT AND A PASSIONATE TECHNOLOGIST WITH INTERESTS IN DATA SCIENCE AND PROGRAMMING. HER CURRENT GOALS IS TO DEVELOP HER SKILLS TO SANE LEVELS IN THESE TWO AREAS. SHE IS A PYDATA GHANA CO-ORGANISER. I am very grateful to Woman in Tech Found for providing me this awesome possibility to be in one of the best and fascinating conferences in Informatics Security in Argentina: the Ekoparty (Eko14). Thanks to the initiative they have on the inclusion of women in Tech and InfoSec events, I was able to get my ticket. I enjoyed three amazing days listening to inspirational talks, meeting great people with the same interests and with friends, I had not seen for a long time. It was a great opportunity that I hope to repeat next year and continue to learn new things in security. Thank you so much for fulfilling the dreams of women in technology and security!